Udhay is decent in the titular role of a photographer, who vows to not wear slippers until he avenges his beating. Nimir is one of those films that from the day it was announced, didn’t quite create the kind of excitement you expect from a Priyadarshan directorial. A remake of Fahadh Faasil starrer Maheshinte Prathikaaram, the film is based on domino effect – how a single event kicks off a chain of events and their actions. While Nimir works beautifully in the visual department, it struggles to make an impact with its storytelling. Maheshinte Prathikaaram, honestly, isn’t a remake-friendly film in the first place. 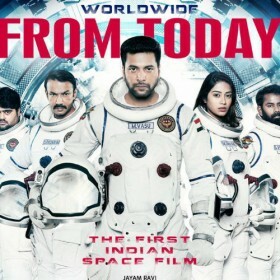 If the original worked, it’s solely because of Fahadh’s performance and Dileep Pothan’s writing, which is simple yet heartwarming. 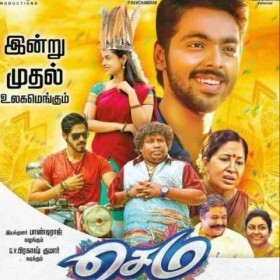 Even though Nimir is more or less a frame-to-frame remake, it fails to recreate the magic of the original. For instance, Udhay strives hard to perform, whereas, Fahadh gets into the skin of the character and lives his part. Udhay is decent in the titular role of a photographer, who vows to not wear slippers until he avenges his beating. After Manithan, this is one of his noteworthy performances. The supporting cast chips in with strong performances. Veteran filmmaker Mahendran as Udhay’s father is terrific and the bond he shares with his son is touching. MS Bhaskar delivers another praiseworthy performance. In her Tamil debut, Namitha Pramod is very good and she charms us with her screen presence. Ekambaram’s visuals are soothing to the eyes and he captures the scenic backdrop of Tenkasi like never before. Darbuka Siva and Ajaneesh Loknath give us great tunes and a score to remember for a while. 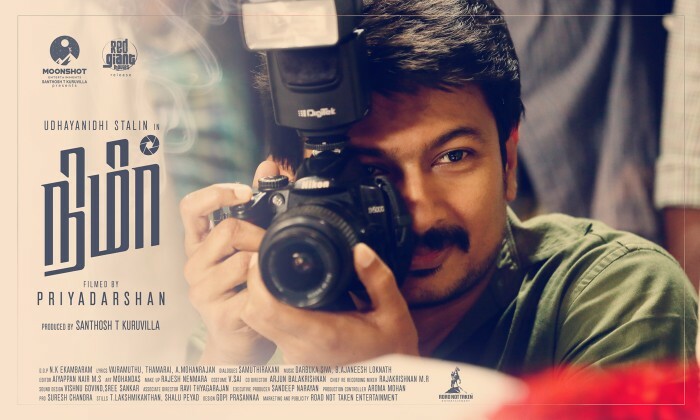 Nimir doesn’t go beyond stunning visuals to make an impact. What are you thoughts on Nimir? Maheshinte Prathikaram or Nimir? Let us know your thoughts in the comments box below.